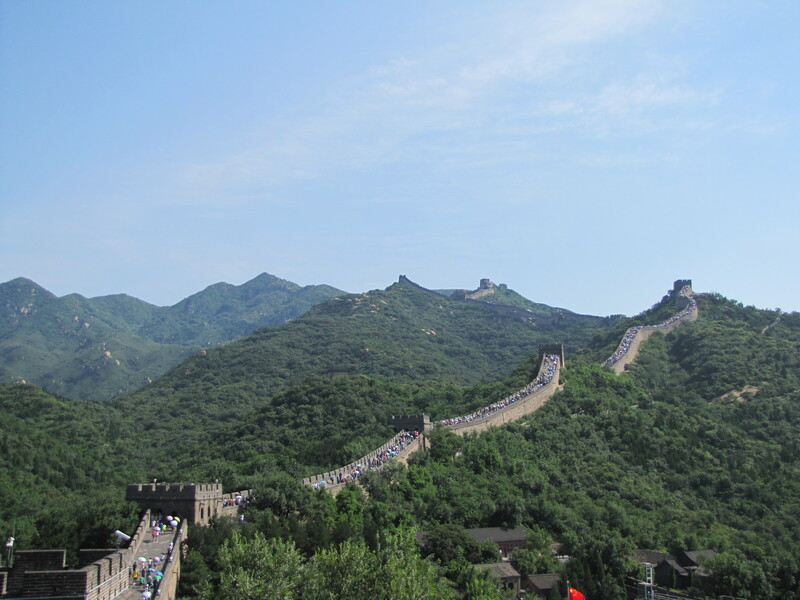 You can’t really say that you’ve seen China until you’ve been to the Great Wall. (Uh, well actually I’ve been before, but that’s beside the point.) 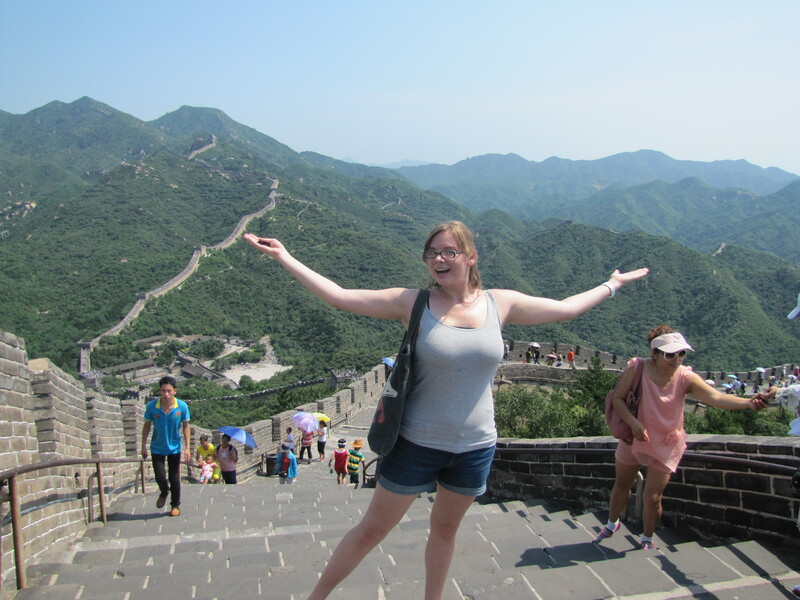 I actually really loved the Great Wall. 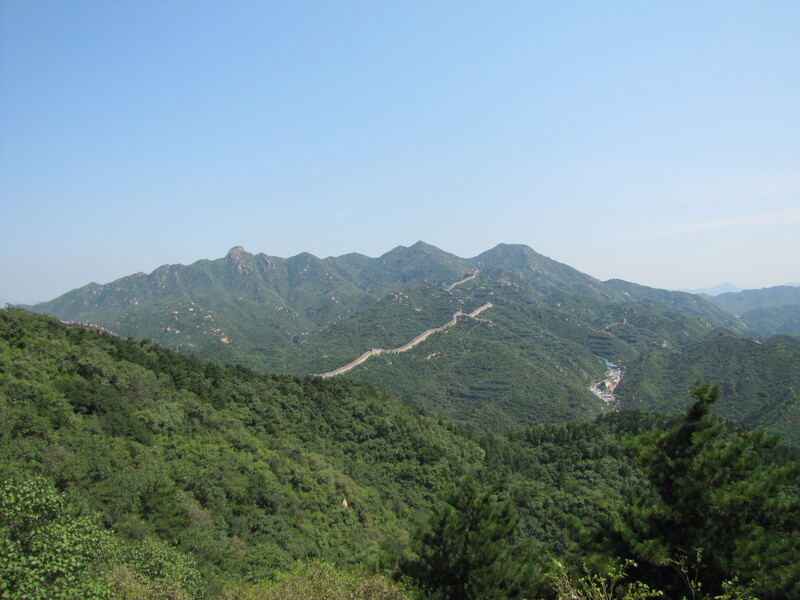 Whereas the day before, we were tired from our all-night train ride, this day we woke up well-rested and as the bus drove us into the mountains, the air became clearer, the scenery greener, and everyone’s moods just lifted. Tourists aside, it’s a really beautiful mountain area. 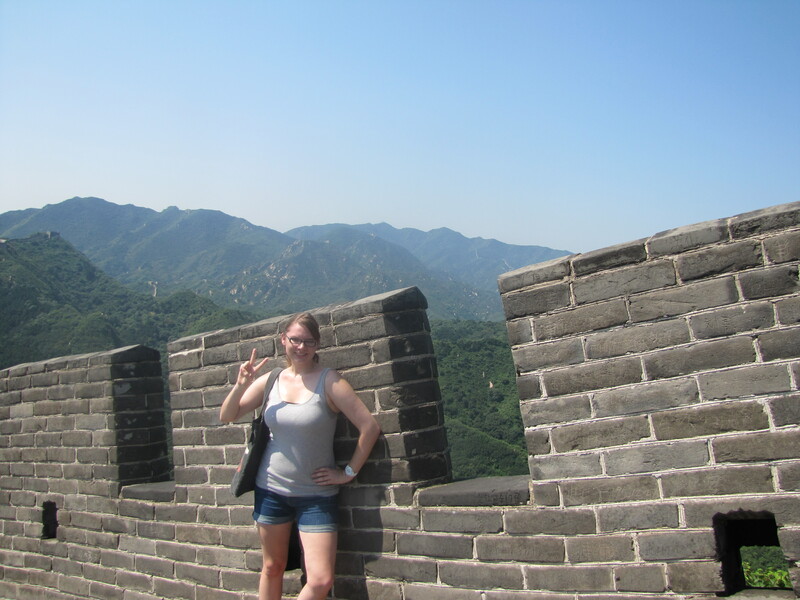 In the past, I’d come to this same part of the wall, Badaling, but my friends and I only made it to the first highest point, which is some sort of watch tower-looking structure. 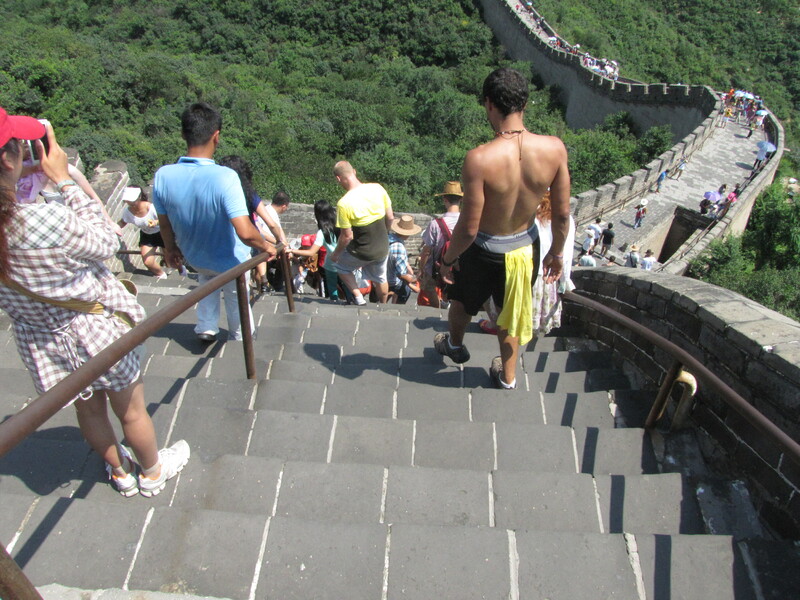 After we made it there, there were so many people and the climb was so steep, that we were ready to head back down. This time, my classmates and I decided to go further. And seriously–it’s worth it. 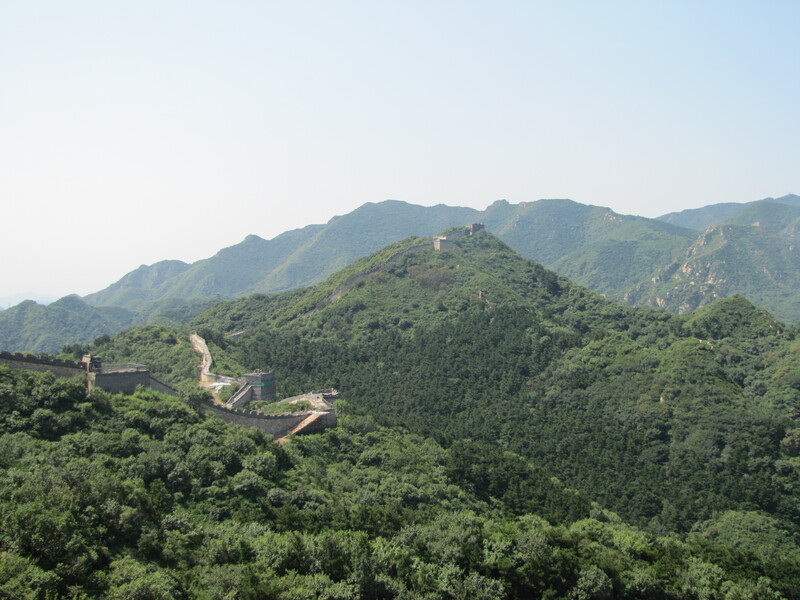 Once you make it past that high peak, there is easy downward and upward bits and far fewer people, meaning that we were free to run around, take lots of photos, and in general be idiot foreigners. 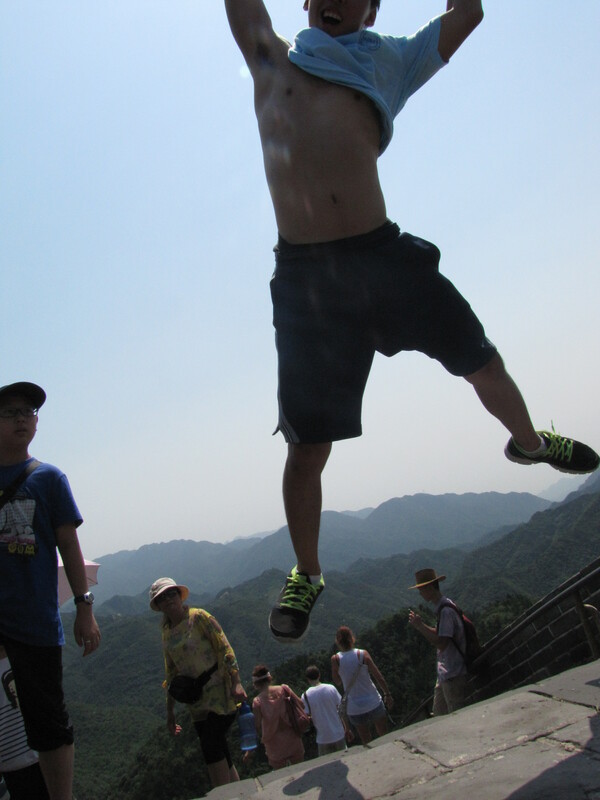 All in all, the Great Wall was tons of fun, but, like all of China in the summer, it is very hot and the climb is quite hard, so bring water with you for sure. Foreigners will probably get asked for photos, but the people were very nice about it. One little girl called me 姐姐 when she asked for a photo! Eeeeeeeek, so cute! 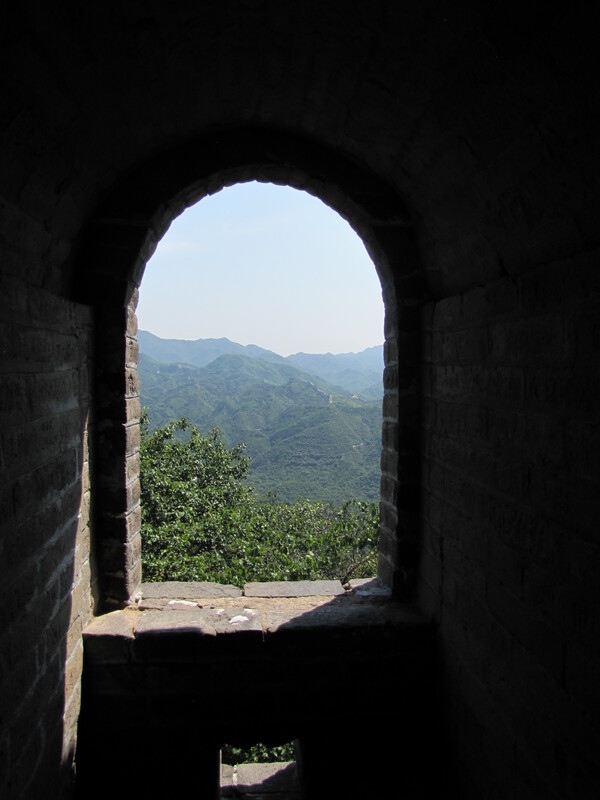 This entry was posted in Uncategorized and tagged Beijing, China, The Great Wall, Travel. Bookmark the permalink.